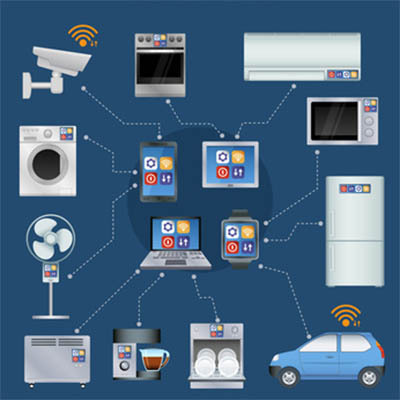 The Internet of Things has gained a lot of notoriety in regard to its lack of security options. Of course, this could all change in 2019, and we expect at least a few big names to introduce measures to keep this growing body of connected devices from creating security issues. Already there have been measures by Dell, Cisco, and HPE to improve security on their endpoints, and if they are, others will certainly follow in their steps. Furthermore, security vendors will pay more attention to endpoints. With solutions that are specifically designed to protect devices from data loss, as well as check a network’s overall security, threats from IoT devices could potentially be few and far between. Smart cities have recently popped up in conversation, and while they aren’t quite here yet, there is reason to suspect they may be in the near future. The Internet of Things can be used to provide sensors to chart walking routes, the occupancy of buildings, and even details of the sewage flow, all to track living conditions of the area’s inhabitants. Google has taken the first steps toward these neighborhoods becoming a reality by creating them around Toronto. The Internet of Things is driving a lot of innovation, and in the case of cars it’s building a better driving experience for users. Cars these days are filled to the brim with all sorts of applications that were nothing but a dream in the past, and it’s all thanks to IoT technology. Minute-to-minute traffic updates, connected apps, and so much more all combine to help transform vehicles from a tool to get from point A to point B into a truly wonderful device that can help the average user stay connected, even while in transit. This trend will increase even further as we move toward the future. While we have discussed several ways the IoT will change in the future, the fact of the matter is that it will likely continue to grow and exceed even our wildest expectations. Sources claim that 3.6 billion devices with an Internet connection have been used this year, but that’s not even considering devices that are used occasionally (i.e. not daily). Basically, the IoT is so large that it is becoming difficult to measure it accurately but securing devices will continue to be paramount. It’s likely that some IoT devices will need priority access to networks and information, which will lead to more changes being made as a whole. Since technology grows with demand, it can be difficult to scale your business’ needs with changes in the industry. Technology Specialists can help with that. To learn more about how we can help your business succeed, reach out to us at 260-422-3979.